For more than 40 years, our core values of safety, integrity, creativity, responsiveness, teamwork, respect, and initiative provide the foundation for how we conduct ourselves in the communities where we live and work. Great Southwestern Construction has had a longstanding volunteer partnership with Colorado Young Leaders (CYL). Together, the teams take pride in supporting local youth who have the communities’ best interest at heart. 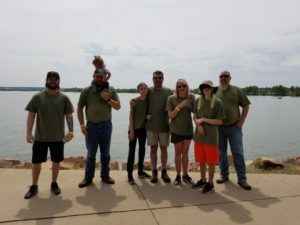 In 2018, Great Southwestern Construction volunteered with CYL during Lake Appreciation Day in June. The team proudly supports this program which aims to develop young people’s leadership skills through service and adventure – working hard to keep local parks clean! Great Southwestern Construction supported CYL for Global Youth Services Day in April. 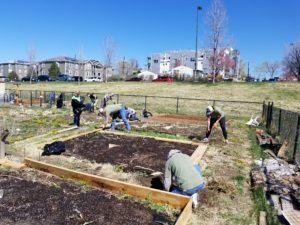 Volunteers helped ready the West Colfax Community Garden for spring, improving accessibility to fresh food and helping to feed community members experiencing homelessness. 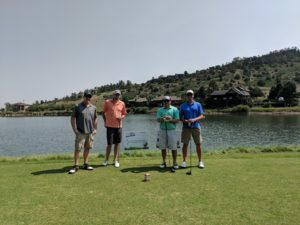 Great Southwestern Construction’s annual golf tournament donated $2,500 to Orphan Ministries, a nonprofit organization dedicated to reaching out to orphaned children domestically and abroad. They help transition kids from foster homes to adoptive homes. The organization also donated clothes, holiday gifts, and gift cards to a local family in need. In addition, Great Southwestern was a Premium Sponsor for the Colorado Touchstone Energy Cooperatives Golf Classic. Proceeds from the event benefit Tri-Lakes Chamber of Commerce and Feeding Colorado.